The Spoiler Alert has been lifted and we can share details about the new Stampin’ Up! Holiday Catalog! First here’s the beautiful cover – don’t you want to start your holiday creating and sharing right now? You can get a peek at several of the new stamp sets, papers and accessories on the cover. So sorry, I’m not allowed to show any inside pages. You will get a pack of extra goodies only this month – now that’s a great Christmas in July present! This is my favorite Suite of Products in the Holiday Catalog. 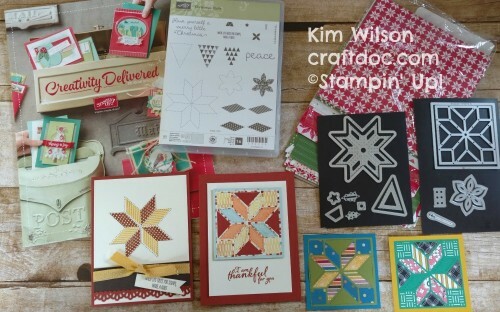 It includes the Christmas Quilt stamp set and the Quilt Builder Framelit Dies. This bundle reminds me of the Eastern Palace Suite because the framelits and thinlits and stamps can be arranged in many different patterns. 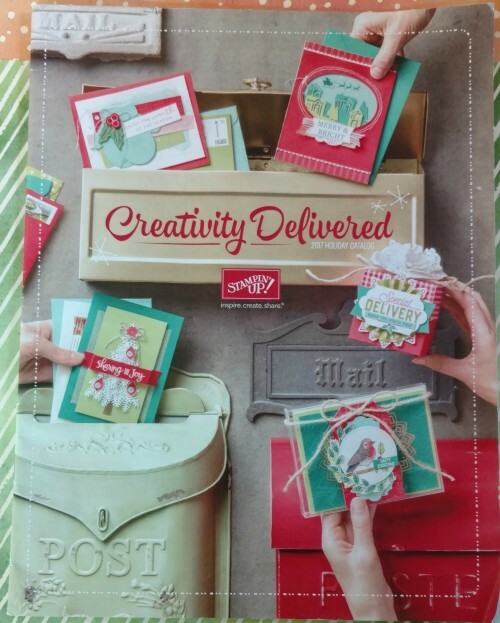 The Quilted Christmas Designer Series Paper Stack is also included in this suite along with the Quilt Top Embossing Folder and some fun embellishments and ribbon. This suite is not just for the holidays – you can see some autumn and colorful summer “quilts” that I made. After you have fun piecing the quilts together, there is a die to add the stitch marks with one turn of the Big Shot! There are even cute little spool and needle dies. I’ll be posting about more new products tomorrow and eventually some tutorials on how to make your own beautiful quilt cards. 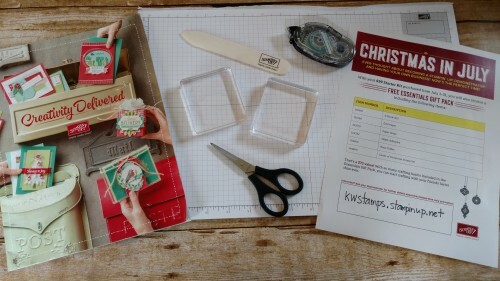 We were given this Suite of products and many more fun presents at the Stampin’ Up! incentive trip in Thailand. Check out previous posts to see more about my trip and how I earned it. Be sure you are signed up for my newsletter too!